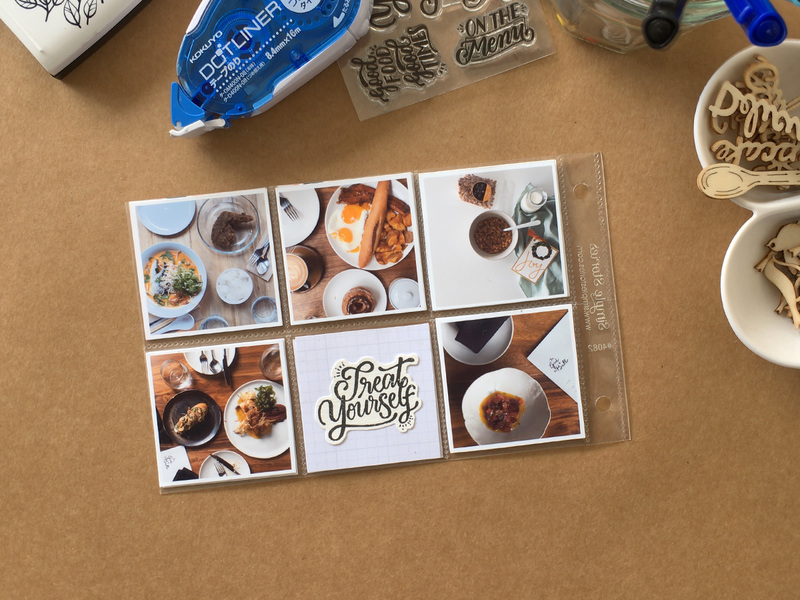 I documented my Christmas 2015 in a 4×6 mini album early this year, and the Kain Na Stamp Set was perfect to highlight the overflowing food that happened during the holidays. 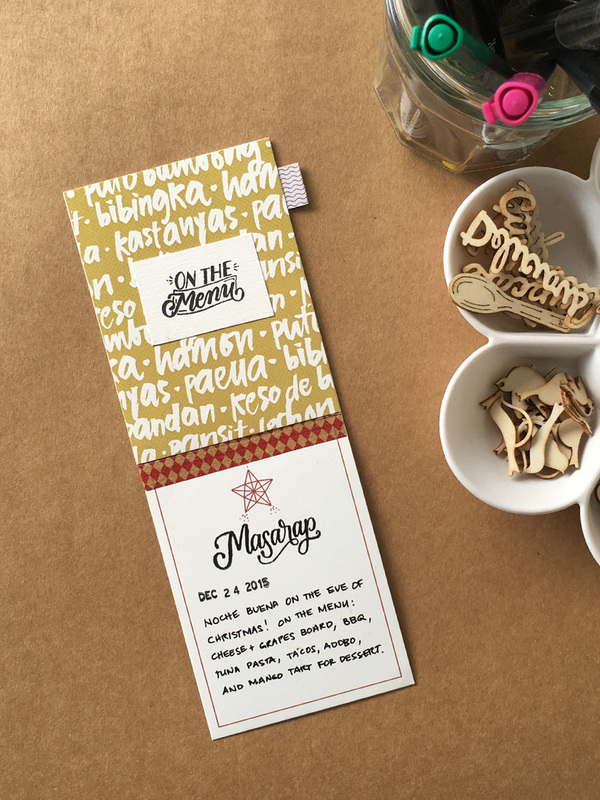 Using both the On The Menu and the Masarap stamps, I added them to my Paskong Pinoy cards and made a little flip-up card to jot down the simple spread that we feasted on for Noche Buena. 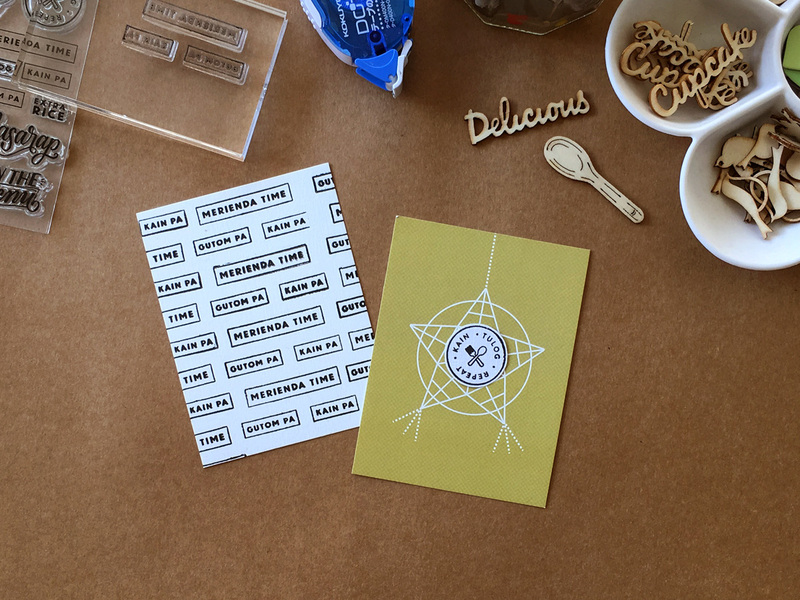 The Treat Yourself stamp was a great addition to this spread full of my food photos. I stamped it on white paper, trimmed around it and glued it on a grid card to make a unique 2×2 filler card. When I don’t find cards to match my current pocket scrapbooking spread, I always resort to making my own. The first thing I usually reach out for? Clear stamps. They are quick and inexpensive tools to designing unique cards. 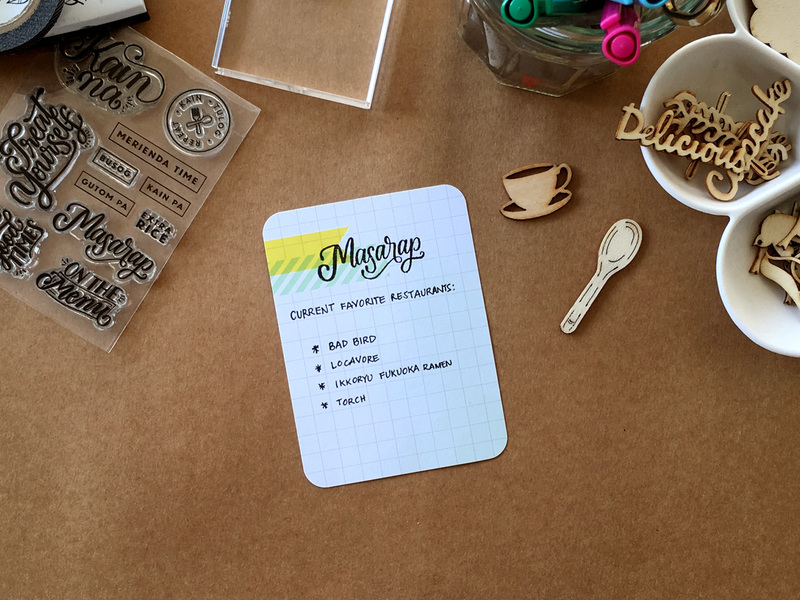 For the card on the left, I used the Merienda Time, Gutom Pa, and Kain Pa stamps to make a simple text pattern on white cardstock. For the card on the right, I stamped the Kain Tulog Repeat stamp on plain white paper, trimmed around the circle, then simply glued the new embellishment on another Paskong Pinoy filler card. These were so fast and easy to do, each card only taking about five minutes to make. I’m an avid list maker. I write several lists on the daily, from grocery lists and to-do lists, to random ones just for the sake of making lists. The other week, I jotted down my current favorite restaurants in the metro. 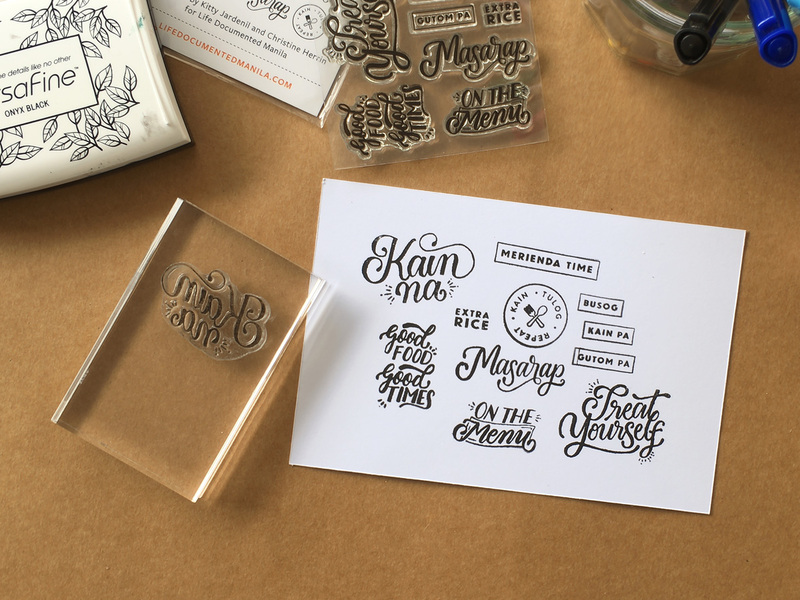 The Masarap stamp made for a perfect heading. My planner is mostly a mini-journal where I write quick notes and doodles of what I did that day, and less of a to-do-list kind of planner. It just helps my mommy brain remember the little details, perfect for when I need to document them in my scrapbook. I used the Kain Na Stamp Set to fill up an entire page in my weekly planner last January. I love how each stamp added character and brought life to the page. Stamping also made the whole process of documenting my week more fun. 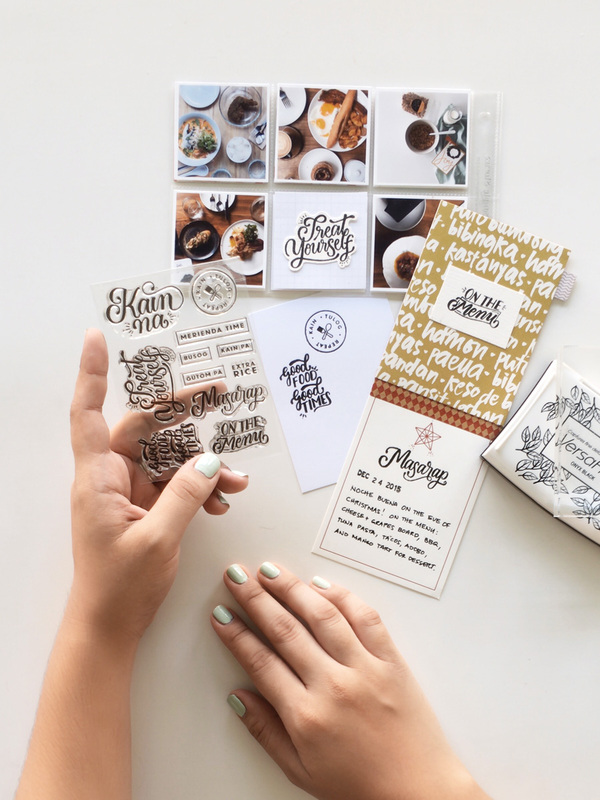 I love how versatile the Kain Na Stamp Set is. There are so many possibilities and ways to use it, it has already become a staple in my scrapbooking and planner arsenal. 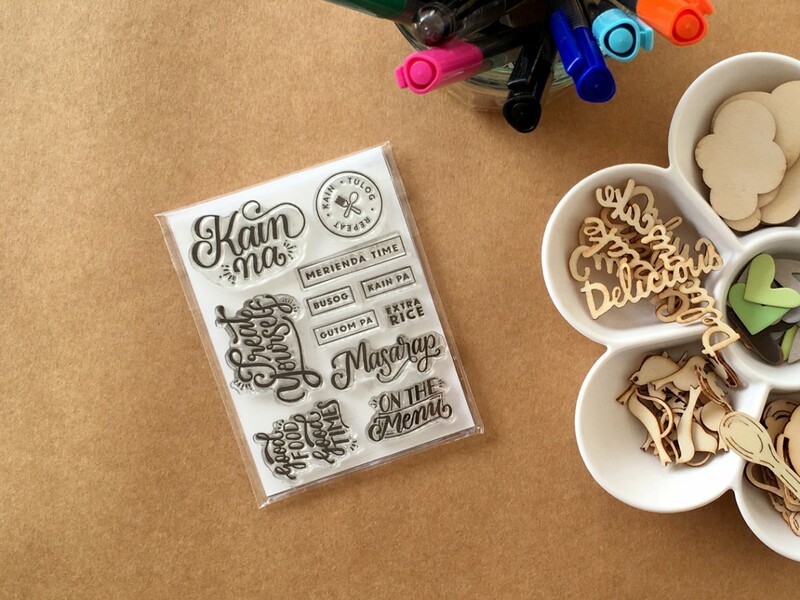 Start stamping away and get your own Kain Na Stamp Set over at Life Documented Manila. 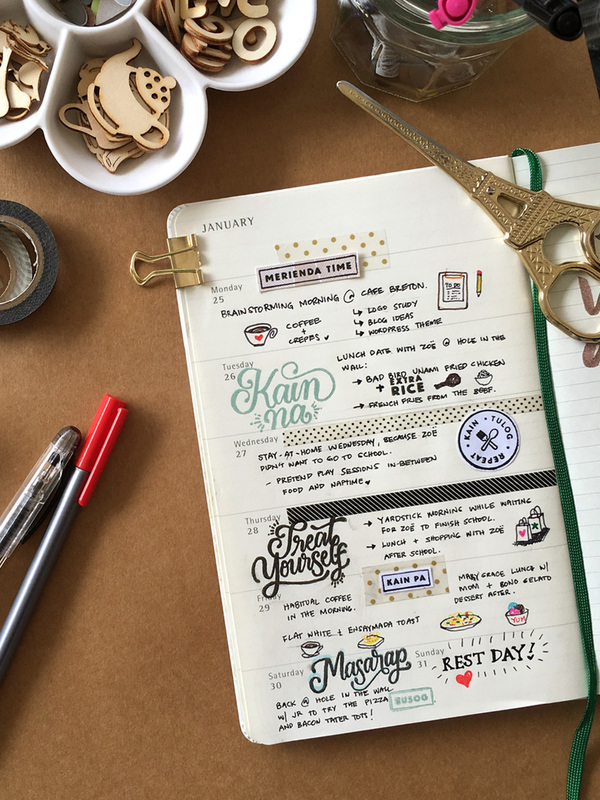 This is so cute–especially how you use it in your planner! And I love your printed square pictures, may I ask do you print them yourself or have them printed? Hi Robellejoyce! They usually come pre-cut already, so all you really need to do is take them off the plastic sheet. You then place them on an acrylic block before inking and stamping. 🙂 Have fun stamping! Anna! I just stumbled upon this, and WOW! I’m so glad you liked it! Thank you for having fun with this set that i collaborated with Life Documented Manila. Looking forward to your upcoming projects!